A Bigger Slice for PET/CT? New efficiencies in PET/CT coupled with new analytical tools may lead to increased utilization. Image quality is essential for detecting and staging cancer. Radiologists want the ability to not only detect smaller lesions but also determine earlier whether a patient is responding to current treatment. That's why several manufacturers have been working to expand their PET/CT offerings and utilize new technology that is helping doctors and patients alike. Kirill Shalyaev, PhD, Philips' vice president and general manager of advanced molecular imaging, notes that nuclear medicine and molecular imaging have come a long way and continue to advance. "There are a number of factors driving the evolution of this market, including a rise in chronic disease, the significant growth of an aging population, and increasingly limited global resources," Shalyaev says. "As the industry continues to move toward more patient-centric care and patients become increasingly more aware and involved in their health, there is a growing focus on early diagnosis and prevention." Among the trends Shalyaev sees developing is a demand for data, driven by patient-focused care and the rise of hybrid solutions. "Clinicians need access to clearer, sharper images and more cost-effective technology that provides quantitative and qualitative measurements," Shalyaev says. "Being able to extract quantified, meaningful data allows physicians to better assess the severity of a condition or disease and measure the degree of change over the course of treatment. [Along with the images themselves, medical image files contain data that] can be turned into actionable insights that help to shape, drive, and inform patient care and treatment, earlier and throughout the cycle of care." Quantitative measurement is becoming increasingly important in its application to cancer treatment. Accurate quantitation, however, requires a consistent measurement to monitor cancer treatment over time to determine whether treatment is working. Bich Le, GE Healthcare's general manager of PET/CT, says quantitation is a major topic in molecular imaging right now, due to variability in standardized uptake values (SUVs) from reconstruction techniques and patient motion. "Quantitative accuracy is important for staging of disease, and consistency is important for treatment response," Le says. To assist with PET quantitation and help physicians evaluate their patients' treatment responses, GE uses an iterative reconstruction algorithm, Q.Clear, which is part of its Q.Suite offering and is available across multiple PET/CT scanner platforms. Q.Clear's noise reduction techniques improve image quality, lesion detectability, and quantitative SUV measurements to assist physicians with diagnosing and staging disease, as well as treatment planning and assessment. Robert Brait, national product manager of PET/CT at Siemens Healthineers, says another big trend in the sector is scalable upgrading ability. He adds that hospitals are looking for a lower cost of ownership and ways to reduce cost, including, in some cases, joining together in groups to acquire clinical assets. Siemens' new Biograph Horizon, which the company says is the smallest PET/CT system with the lowest power requirements, requires less of an initial capital investment and will fit into virtually any existing PET/CT exam room. It uses existing PET/CT technology and addresses clinical indications in oncology, neurology, and cardiology. The system was just rolled out and is being installed in its first hospitals now. "We had a number of people who wanted a lower-cost solution but wanted Siemens solutions such as Time-of-Flight and metal artifact reduction," Brait says. "What we did was create a solution with a 70-cm bore and used the same tech we have in our premier product." Dominic Smith, Toshiba's senior director of CT, PET/CT, and MR business units, says the company's new Celesteion is a "one-stop-shop" system that can perform PET and CT imaging at the same time, which eliminates the need to schedule multiple appointments. "What we're trying to do is look at where the trends are going," Smith says. "Can you see the cancer at an earlier stage and improve resolution? Time-of-flight helps that, but technology that improves PET resolution and CT resolution is also very important. We are looking at technologies which will improve precision in difficult cancers where you're seeing motion." The Celesteion enables facilities to maximize system utilization, which can potentially improve care and lower costs, with a single shared system that meets the needs of oncology, radiation oncology, and radiology providers. Le agrees that reducing cost is a high priority, especially in hybrid imaging. "Compared to other imaging modalities, such as ultrasound or CT, PET scans take more time to acquire and more time to read; comparatively, PET is more expensive," Le says. "With pressure on health care costs, reimbursement is more restrictive. Customers need more efficiency, lower costs, and patient volume growth. We need to enable customers to improve efficiency and raise the clinical value of PET for referring physicians. This is a need we see not just in the USA but also globally." While no single solution can address a growing, aging population and an increase in chronic and lifestyle diseases—among other pain points in our global health care system—Shalyaev says Philips is focusing on tools and services across the care continuum. "In molecular imaging, for example, we've [developed] imaging solutions that aim to increase diagnostic confidence, enhance the patient experience and care, and lower costs," he says. "A good example of this is the Vereos Digital PET/CT, which offers advances in PET performance through proprietary digital photon counting technology, giving physicians the opportunity to manage dose, reduce scan times, and enhance lesion detectability." Since it was unveiled, Vereos has been installed in health systems as a precommercial product at University Hospitals Seidman Cancer Center in Cleveland and The Ohio State University Wexner Medical Center in Columbus. Le says photon counts matter and clinicians can use those counts for dose reduction. Discovery IQ, GE's latest PET/CT scanner platform, attempts to quantify dose more effectively. "It has the highest sensitivity, largest axial field-of-view, and the highest clinical NECR [noise equivalent count rate] in the industry, which enables personalized care to patients," Le says. "When you combine Discovery IQ with Q.Clear, you have a choice of where to apply the counts in order to minimize dose, to drive more patient throughput with faster scans, or for detection of smaller lesions." Shalyaev would like to see more focus on personalized medicine. He notes that, with access to more data, clinicians are looking for ways to customize treatment for patients, based on their anatomy and specific molecular and cellular patterns of disease. At RSNA 2015, Philips launched IntelliSpace Portal 8.0, the latest edition of its data sharing, analytics, and visualization platform, which helps radiologists detect, diagnose, and follow-up on treatment of diseases. "Data coupled with digitally advanced imaging tools can help clinicians make faster and more confident disease detection, leading to more patient-specific therapy guided by molecular imaging," Shalyaev says. "With patients becoming more engaged in their care, clinicians also have the opportunity to collaborate with patients to ensure more effective treatment. The expanding toolkit of molecular imaging agents and biomarkers could open new dimensions to personalized medicine." Brait sees a change in clinical and operational aspects happening in the future. "Hybrid imaging will probably be the standard of care; at least it's going to be used more often than what we are seeing now," he says. 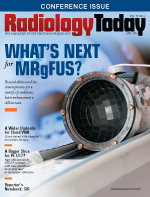 "PET/CT will continue to grow in utilization because it's providing more and more information. It will be the first choice of diagnostic imaging because combining these two technologies makes [the patient's condition] easier to understand." In Le's opinion, with accountable care and value-based payment trends, the cost equation will continue to evolve for the entire clinical pathway. "There's great evidence today [that] PET can diagnose earlier, for example, Alzheimer's or provide more rapid assessment of treatment response in cancer, as another example, which can aid in the entire health care cost shifting to earlier interventions with better outcomes," Le says. As the years go on, PET/CT will continue to advance and develop as an integral part of radiology and imaging. Physicians will begin to see these molecular imaging technologies as more than just a scanner but rather as a solution that helps integrate quality, quantification, and analytics into one machine. "An aging population and the continuing rise in multiple chronic and complex diseases such as cancer, dementia, and cardiac diseases require a more integrated and interdisciplinary approach toward treatment," Shalyaev says. "Molecular imaging will be key in addressing complex diseases, and incorporating analytics in these technologies will be critical to improving patient care."